Long time People’s World contributor John Gilman died in Milwaukee, Wisc., on April 26, 2011 at 90 years old. Gilman wrote many opinion pieces for People’s World and raised money for this working-class publication. In 2001, the then People’s Weekly World gave Gilman its “Courage Award” for his lifelong commitment to working-class struggles. His tenacious activism for peace, civil rights, democracy and social justice will be missed. He was a well-known organizer for U.S.-Cuba friendship, an end to the embargo, normalized relations and freedom for the Cuban Five. In 2004, Cuba honored Gilman with the Cuban Medal of Friendship. The Milwaukee Journal Sentinel’s obituary, “WWII hero John Gilman took on racism, fought for civil rights,” can be accessed here. A June memorial is being planned. Gilman is survived by his partner and wife Helen; daughters Rose Corso and Jennifer Gilman; sons Herman and Glenn; sister Edith Silverstein; brother Jack; grandchildren and great-grandchildren. 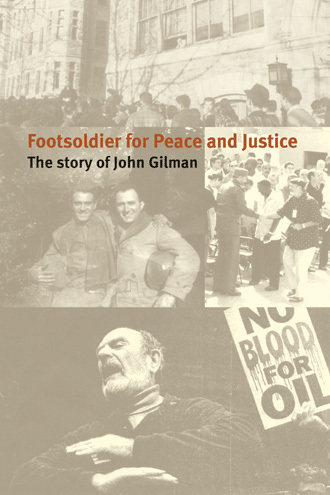 We reprint this review of his autobiography, “Footsoldier for Peace and Justice: The story of John Gilman” in memory of a special and staunch supporter. I always enjoy reading autobiographies, especially those of activists, socialists and communists because they invariably lead such interesting lives. Gilman, who lives in Milwaukee, Wisc., has led a life of non-stop hell-raising and as he likes to say, always standing up against what he thought was wrong. This book is an enjoyable read from cover to cover. For those who know Gilman, his ever indignant and outspoken voice, comes through loud and clear. You feel he’s in the room talking to you. Gilman was born in 1920 to Jewish immigrant working class parents in Chester, Pa., one of 10 children. His father was a railroad maintenance worker. He came of age in the Great Depression, the war against fascism and the great struggles of the day shaped his outlook. All the children went to work early to support the family, including John and his brothers who all sold newspapers. John sold the Communist Party newspaper, The Daily Worker among other publications. 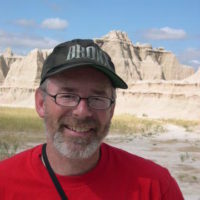 John was a cousin to the late Daily World writer and author, Joe North. He was first introduced to the ideas of socialism during a big shipyard strike in Chester, Pa., by his brother. Gilman led his first big battle in high school when he became editor of the school newspaper, and attempted to write an expose of how the school system spent its money, calling for the construction of a new high school. The teacher in charge feared what would happen if it were printed and censored the article. The students issued their own publication with the story, which was also banned. Gilman was expelled after he wrestled the principal to the floor to stop him from grabbing a stack of student newspapers. The students responded by going on strike. His activism led to involvement in the national student movement and becoming a high school representative in the National Student Union. He joined a delegation to Washington, D.C. where they met Eleanor Roosevelt. Gilman later got a job at a Ford auto factory, helped form a Communist Party club and led a reform movement in the local. He was fired. Gilman wanted, in the worst way, to enlist, and be sent to the front in Europe to fight fascism during WWII. Finally he got his chance, and was part of a follow up wave of the D Day invasion, landing in France on June 10, 1944. Gilman was an infantryman and in combat during the Allied advance into Germany. Gilman, who escaped death when a sniper’s bullet miraculously lodged in his thick leather belt, distinguished himself with bravery in numerous battles including knocking out a German pillbox and tank. He was wounded, and highly decorated, awarded the Bronze and Silver Stars and Distinguished Service Cross. After the war, he first went to work in the railroad maintenance department. Later, he went to school at the University of Wisconsin in Madison were he became involved politically. It was through his involvement with the People’s Progressive Party that he met his future wife, Helen. Together they have four children (and several grandchildren), all who lead very interesting lives of their own. During the McCarthy repression Gilman never backed down an inch including twice when subpoenaed to appear in front of HUAC, “where (he) finally told the Sobs off.” In fact, he likes to say if you fight back, and show them you are not afraid, they back down. Besides, he says, he saw far worse on the battlefield. Gilman describes FBI infiltration of organizations and harassment of his linoleum business (which was later firebombed), but also how he continued giving leadership on many issues including the movement for a new trial for the Rosenbergs. During this period he also became active in the Civil Rights Congress where he fought against racism in the Deep South and in Milwaukee, for nuclear disarmament and later against the Vietnam War. 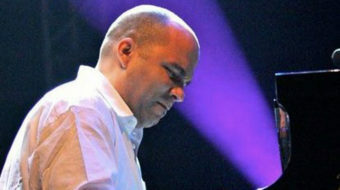 In 1975, he organized and led a national tour for Hortensia Allende, widow of slain Chilean President Salvador Allende. In 1959, he and Helen happened to be in Florida when the Cuban Revolution broke out. So true to form, they jumped on a plane and went to Havana where they got a first hand view of events. This led to a 60 year relationship with Cuba and the Cuban people. It’s no accident, Gilman says, that the late Rev. Lucius Walker, former head of Pastors for Peace, came out of Milwaukee and the solidarity movement there. Gilman has remained active into his 90s. When the Bush administration was gearing up to invade Iraq, Gilman donned his military uniform and medals and blasted the invasion plans before the state Senate. In addition to Walker, Gilman counts among his friends and acquaintances Fidel Castro, Father James Groppi, Linus Pauling and (to my delight) Danny Murtaugh, the late manager of the Pittsburgh Pirates who he grew up with. What a fascinating and fulfilling life John Gilman has led. Thanks John, for telling it in this enjoyable, lively and inspiring book. I hope everyone picks it up.